After a tease of an appearance in the generally awful Batman v Superman: Dawn of Justice, DC has now given Wonder Woman a proper introduction into their Extended Universe with a standalone film that properly honors the principles behind the character even when it’s frustratingly conventional in its execution. 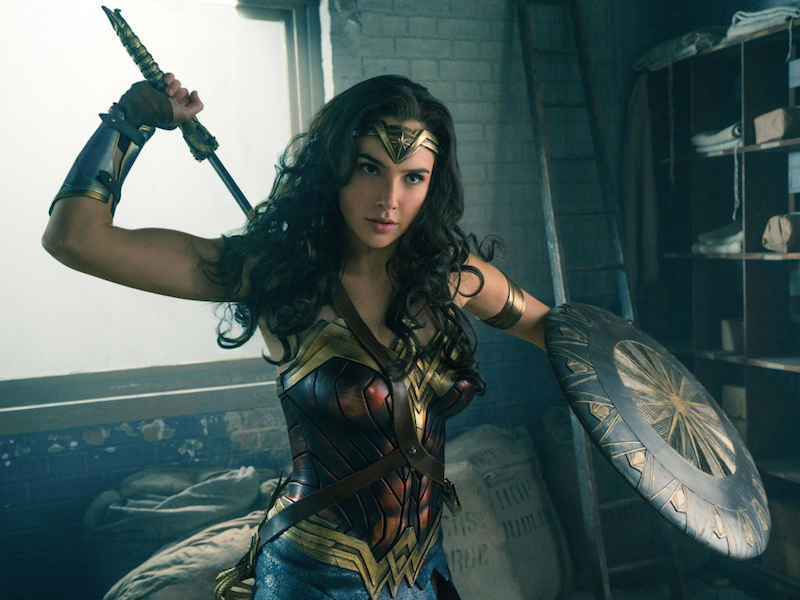 While Wonder Woman is obviously groundbreaking as a female-led entry into a movie genre dominated by male protagonists, it feels slavishly devoted to the plot devices and story beats that we’ve seen in better superhero films over the years. Patty Jenkins hasn’t directed a feature since 2003’s Monster and like that masterpiece, she again builds the architecture of the film around a magnetic lead performance from an actress who’s fiercely committed to the material. The actress in this instance is Gal Gadot, returning in the title role as we learn more about her backstory as Diana on the magical island Themyscira, where she grew up training to become a powerful Amazonian warrior even though her mother Hippolyta (Connie Nielsen) warns her of the corrupting nature of war. After World War I pilot Steve Trevor (Chris Pine) crashes on the coast of their sacred island, Diana saves his life and vows to venture into the mortal realm with him in order to stop the god of war Ares, who she believes to be behind the worldwide conflict. Meanwhile, the nefarious German general Ludendorff (Danny Huston) assists chemical expert Dr. Maru (Elena Anaya) in developing a more potent form of mustard gas that’s able to penetrate through the gas masks of Allied soldiers. What’s most important in a movie that deals with such an iconic figure is that it does justice to the original conception of the character and thankfully, Wonder Woman certainly does not fall short in that category. Her essence is perfectly captured in an excellent Gadot performance filled with a sense of endearing innocence and naïveté but also with an unwavering loyalty to the guiding principles that she feels will make the world a better place for everyone. The original juxtaposition of a character who regards humans with an unbridled sense of empathy and wonder against the backdrop of the ugly trench warfare of WWI that showcases mankind at its most brutal was a brilliant way to conceptualize and in some ways re-contextualize Wonder Woman for the big screen. While the core concept and conflict remains strong throughout its lengthy runtime, Wonder Woman has basic issues in pacing and plotting that are evident even from the opening scene, which introduces a modern-day framing device that never pays off and then transitions into a sluggish first act that manages to hit just about every trope associated with superhero origin stories. When the action picks up, the fight scenes are generally well managed but the computer generated effects don’t mesh as well as they should and Jenkins makes liberal use of the speed ramping film technique that producer Zack Snyder has done to death in his superhero entries. His influence is also felt throughout the film’s final showdown too, which is a slightly more palatable rehash of the interminable macho beat down present in 2009’s Man of Steel. Marvel comparisons seem inevitable when discussing superhero movies these days and with its fish-out-of-water story set amongst a World War backdrop, it’s hard not to see echoes of Thor and especially of Captain America: The First Avenger in this DC entry. Plot elements aside, the more vital impact that Marvel has had on this series revolves more around this film’s overall feel and tone, which eschews DC’s predilection for self-serious and dour storytelling in favor of a lighter and more humane touch. Wonder Woman undoubtedly represents a step in the right direction for DC’s universe (though I’m sure I’m in a very limited minority of those who approved of Suicide Squad) and though it has its flaws as a standalone film, at least it strengthens the foundation of a crucial Justice League member.